Posted on 7th February 2019 at 2:39 pm. We all dream of having a nice garden, and with good reason, too. A well-designed and maintained garden is almost like having an extension to your property, as it will create an additional outdoor room for you to enjoy during the summer months. Making changes to your garden needn’t be expensive or time-consuming and there are many ways in which you can improve your garden. A good garden design has focal points and interesting features. This can be achieved through a new patio, a decked area, raised planters or, perhaps, an artificial lawn. Another way of introducing a new feature or focal point into your garden is through the introduction of a pond. There are many reasons why you should consider installing a garden pond and today we’re going to be exploring some of them and, hopefully, inspiring you to take action and build your own pond. So, let’s begin with our list of 7 reasons to install a garden pond. 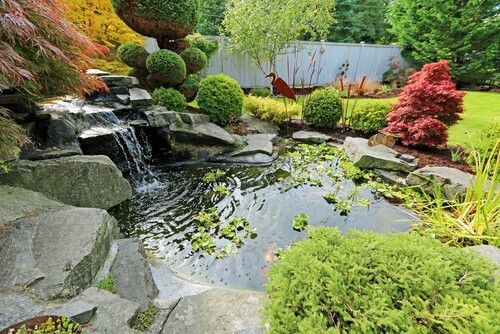 The most obvious reason to install a garden pond is, of course, for its aesthetic benefits. 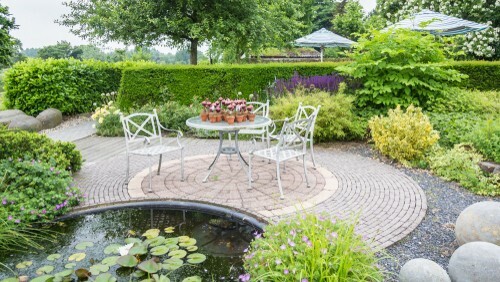 Garden ponds will transform any garden and will help to create a nature feature that you can surround with flowering plants and enhance with reeds and water lilies to create a truly stunning garden pool. What’s more, ponds change throughout the different seasons and you can watch nature work its magic as your pond’s appearance is transformed throughout the year and it attracts more of the local wildlife into your garden. Garden ponds add fantastic focal points within a garden, which is very important when it comes to creating a balanced garden design. As we have just briefly touched upon, installing your own garden pond will help to encourage more of the local wildlife into your garden. 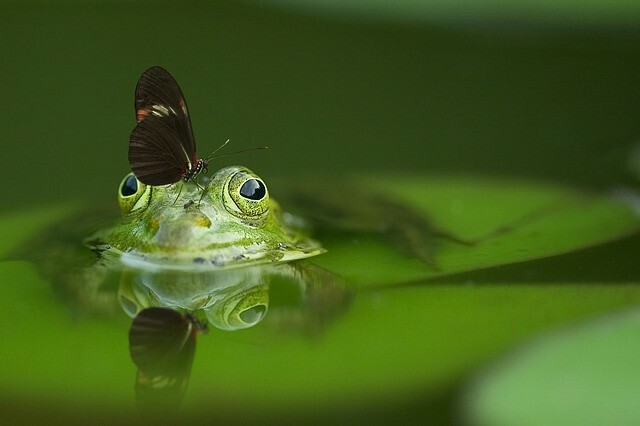 Ponds are fantastic habitats for a wide range of wildlife, including toads, frogs, newts, insects and birds. That’s because they provide excellent sources of food and water, as well as being a home or breeding ground for the local wildlife to utilise. Installing a pond in your garden will act like a magnet to the local wildlife and you’ll be rewarded with a front row seat allowing you to watch nature at its best. You’ll also get tremendous satisfaction from knowing that you are helping your local wildlife to thrive. There is a good reason why many relaxation soundtracks involve the sound of water. That’s because it creates natural white noise, which helps to relax us and even helps us sleep better, according to Live Science. There is something about being beside water that many people find relaxing and installing some form of fountain can further enhance the experience by increasing the amount of white noise. According to the Huffington Post, those that spend time by water are likely to be less stressed and in better health. This means that installing a garden pond is great way to improve your mental health and well-being. For many homebuyers, an attractive garden is a huge selling point. Many of us love enjoying warm summer days outside, relaxing or entertaining in our gardens and, if your property comes complete with a nice garden, it is sure to be in huge demand. A well-landscaped and maintained garden can add up to 20% to your property’s value, according to The Telegraph. This means that the cost of installing a garden pond is often recouped in terms of additional value added to your home. Installing other garden features, such as an artificial lawn, patio, decked area or summerhouse, are also great ways of adding additional value to your home. Ponds have a thermal mass that adjusts slowly to changes in temperature. During the daytime, the sun’s rays will gradually warm up the water, but as the sun disappears and it gets dark, the water cools down very slowly, meaning that it retains the warmth for a longer period of time. Surrounding plants and wildlife will benefit greatly from this additional warmth. This is why it can be freezing outside, yet your pond may not have iced over. Installing a garden pond will help to moderate the temperatures in your garden and help wildlife to flourish. Ponds, being reflective, will help to spread light around your garden. This means that ponds are great for gardens that lack sunlight. Installing your pond in a sunny area of your garden will help to spread light across the rest of the space. The additional sunlight can also help your plants with the process of photosynthesis. But it is also great to just to sit back and watch the sunlight shimmering on the water. Of course, another great benefit of having your own pond is the opportunity to also own fish. Koi carp are extremely popular and with good reason, too. It is a very rewarding experience to care for your fish and it’s very satisfying to watch them grow from young fish into strong adults. 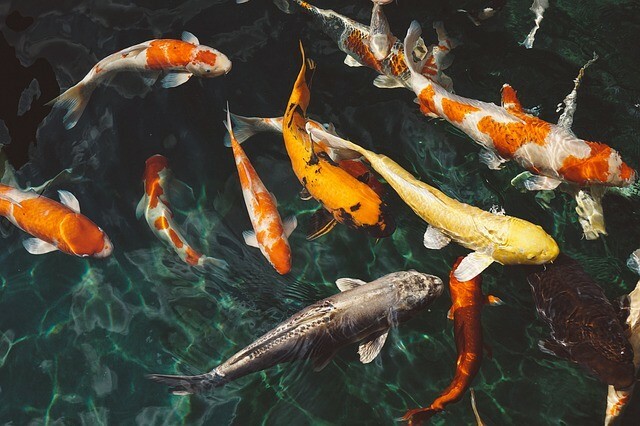 You can breed your own fish to help build up your stocks, or you could even sell them, as some koi carp can fetch high prices, depending upon colouring and patterns. Many pond owners have reported that having koi carp in their gardens has led to them experiencing less stress and lower blood pressure. If you’ve always wanted your own fish, then why not make the dream a reality by building a garden pond? As we have learnt, there are many reasons why you should consider installing a garden pond and, fortunately, building your own pond needn’t be difficult or expensive. Simple garden ponds can be constructed by excavating a hole and lining it with pond liner, which can be secured using paving slabs or rocks. It’s even easier if you purchase a preformed pond made from either fibreglass or plastic. Pumps, water features and plants can also be added. 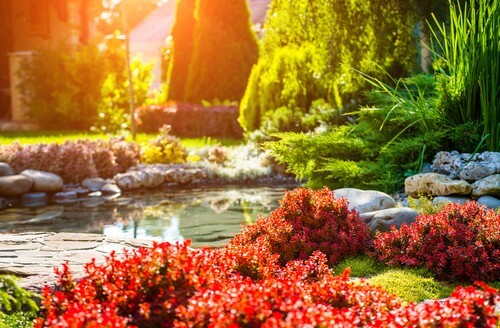 With a little effort, you’ll have yourself a stunning garden pond that will transform any garden, large or small, and you’ll reap the many benefits that having a garden pond can bring. If you have your own garden pond, then we would love to hear what you like most about being a pond owner. Why not leave us a comment below and share your thoughts?